It is late at night. Many people have already left the party. Empty bottles are standing around. Yet these youngsters are still here. The girl has taken off her shoes, and now they are gingerly dancing on, almost touching. They are happy, centered, relaxed. 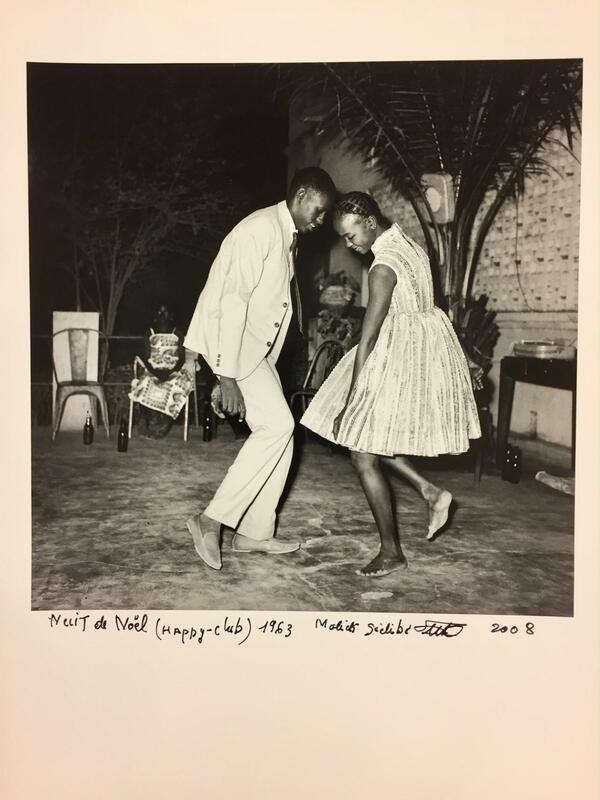 Thanks to Malick Sidibé, this perfect moment in 1963 Bamako has been captured for all eternity. The Eye of Bamako, as photographer Malick Sidibé was nicknamed, took thousands of pictures in and around the Malian capital, thus chronicling a whole new era, inspired by the latest American and European fads. Nuit de Noël (Happy-Club) has been selected by TIME Magazine as one of the 100 most influential images of all time.